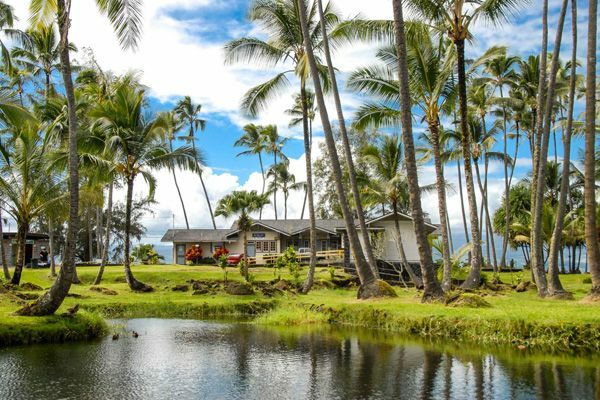 These Hilo vacation homes front the best swimming and snorkeling beach on the Big Island of Hawaii. No booking fees – also listed on VRBO. 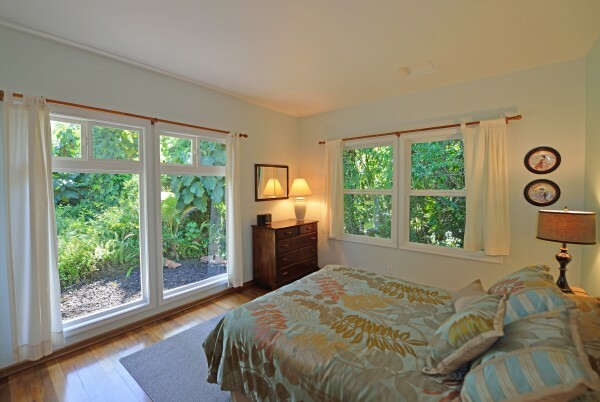 The “Beaches” house is one of the newest Hilo vacation rental homes in the area and built to very high standards. Stay on the water close to Hilo without staying downtown. Stay in a well landscaped home that is maintained to avoid mosquitoes. Enjoy almost half an acre across the street from Richardson’s Beach Park. One of the 7 stops of the Hop-on Hop-off bus tours. Enjoy the best snorkeling of east Big Island at your doorstep. Take out the kayak and learn to stand up paddle board. Listed on VRBO at #3948511ha. No need to pay a booking fee. NEED MORE SPACE? 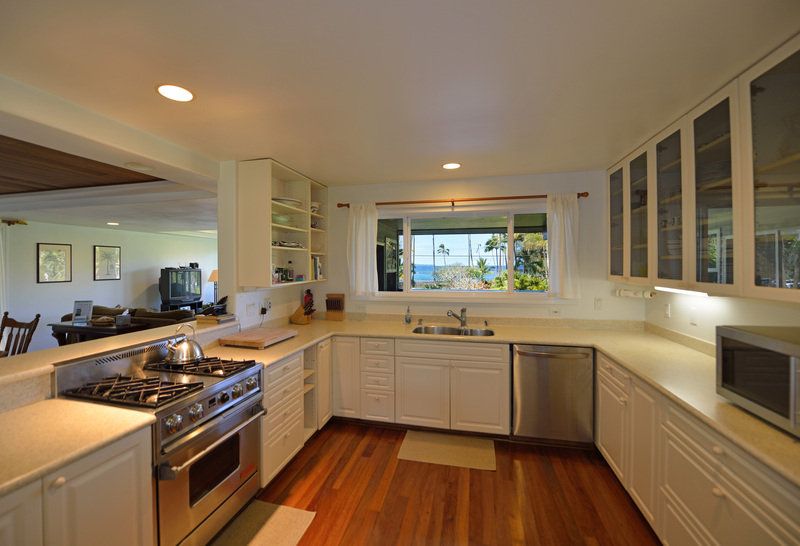 : Call us and ask about the upscale 3br/2ba beachfront house next door (Surfrider or www.vrbo.com/3948514ha). 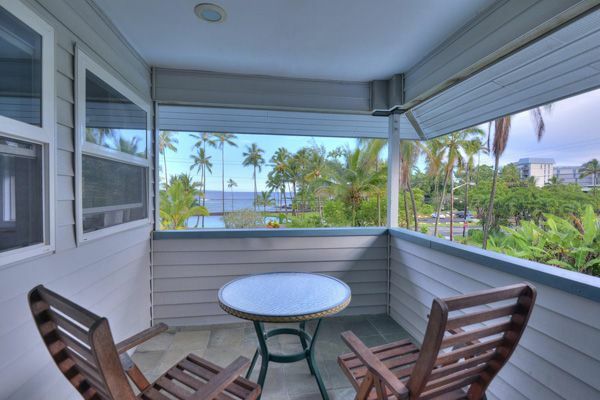 We also have another 3br3ba oceanfront house 5 doors down the street (Lilikoi or VRBO #27643). Lastly, we have the newest house just 6 doors down the street (Hibiscus or www.vrbo.com/4035464. Four bedroom, 3 baths that sleeps up to 15. I have 3 other homes just South of Hilo in Paradise Park that are on the water and very affordable. For current rates and availability on all our beachfront houses. PLEASE CALL US at 818 357-6889. East Hawaii’s best snorkeling across the street at Richardson’s Beach Park. 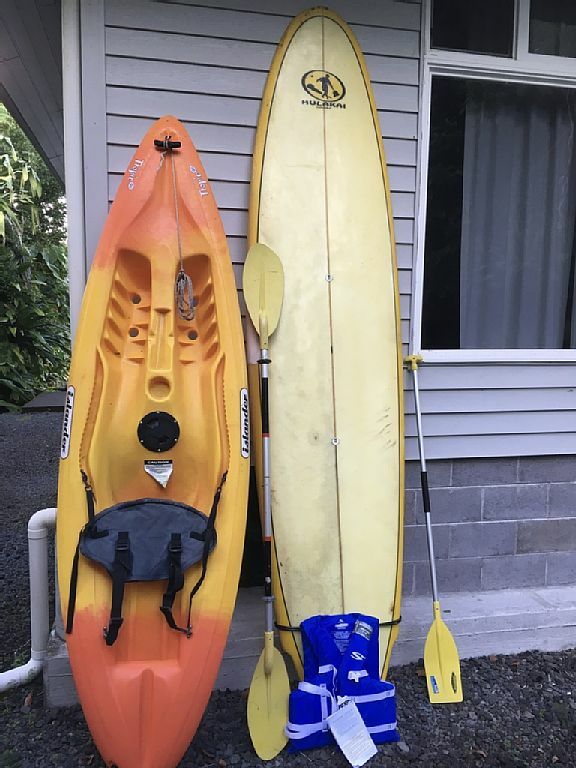 Free Kayak, paddle board, bikes, boogie boards, snorkel equipment, booties. Full ocean views, outside seating, fruit trees, parking. Why settle for a house away from the water? This house is right across the street from Richardson’s Beach Park. Home of the best snorkeling in East Big Island. Hilo offers few places to enjoy the ocean. These special places are always beach parks. 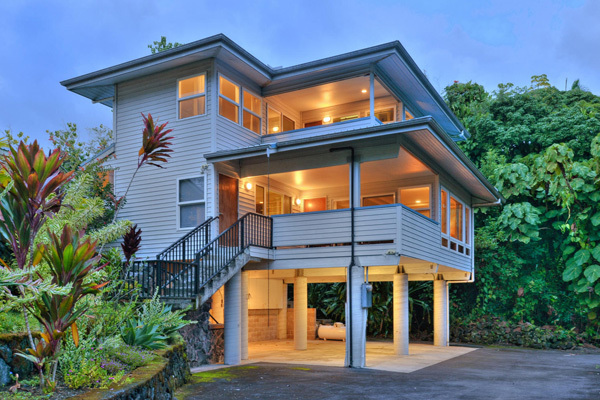 One of the newest Hilo vacation rental homes in the area built to very high standards. Outside seating on deck overlooking south Hilo bay. Additional deck outside master bedroom. 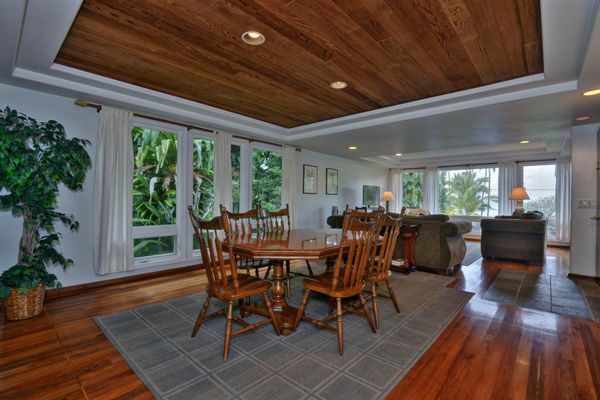 House includes free use of kayak, bikes, stand up paddle board, boogie boards, snorkel gear. House is completely stocked. Everything you need for cooking, plenty of towels, soap, shampoo, hair dryers. Ironing board/Iron, playpen, highchair and Cable Wifi. 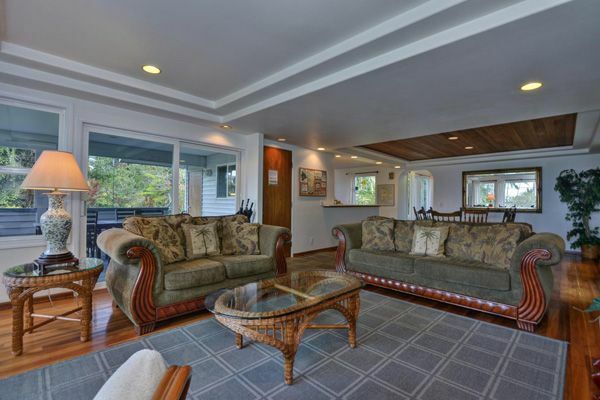 Living Room – Large couch and love seat with direct ocean views. Flat screen T.V. with Amazon Fire and Netflix for a huge selection of viewing options. Books and games for family fun. Cable Wifi. Kitchen – Everything you need. Coffee maker, blender, toaster, rice cooker, pots/pans. Lots of cooking tools. Large oven/range. View of Richardson’s Beach Park from kitchen window. 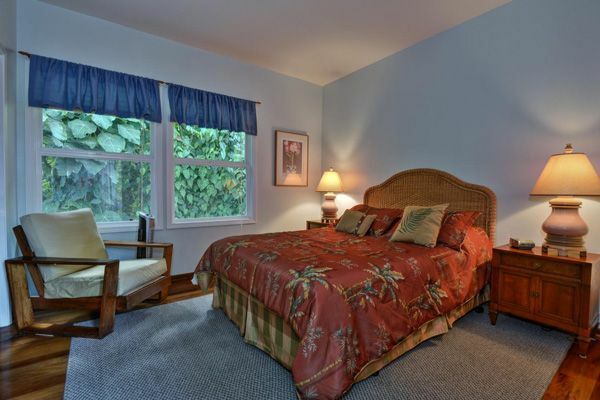 Master Bedroom – Upstairs for privacy with huge sink area and two-person shower. Master closet converted into beds #7 and #8, if required (mattresses can be moved anywhere). Ceiling fan. Private deck with seating and view of Richardson’s Beach Park. Bedrooms #2 and #3: On the same level as the living room and kitchen. Each has a queen bed, night stand, ceiling fan, quality mattresses and linins. The bathroom is between the two bedrooms. All homes have play pens. 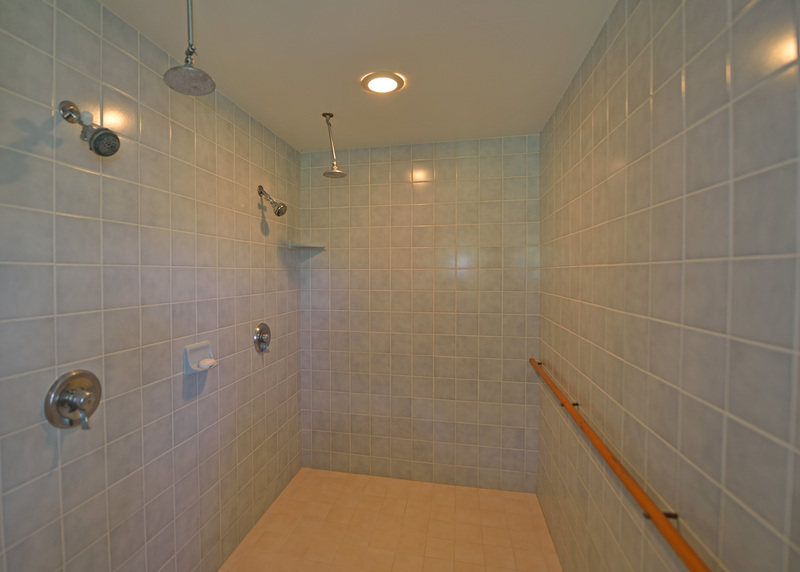 Master Bathroom: Shares the upper floor with the master bedroom. Huge master bathroom with double sink. Oversized double shower. Access to private deck. Bath towels, hand towels and wash cloths, hair dryer, shampoo and soap provided. Gardens – Hawaiian Botanical Gardens, Lili’uokalani Park and Gardens, Nani Mau Gardens, Akatsuka Orchid Gardens. Museums – Lyman’s historical and geological museum and The Tsunami museum. Both in downtown Hilo. 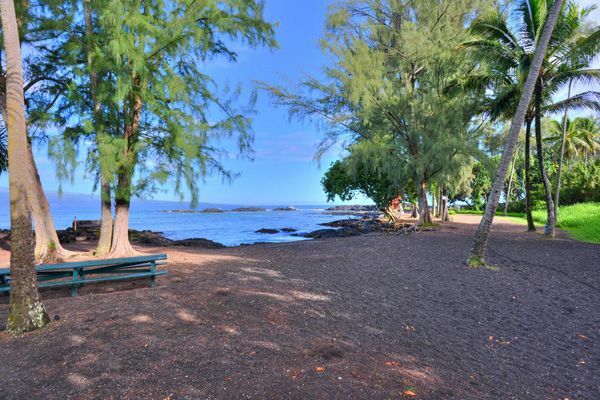 Beach Parks – Richardson’s Beach Park, Onekahakaha Beach Park (the calmest), Carlsmith Beach Park, Reed’s Bay, Lehia Park. Punalu’u Beach Park and Whittington Park. Volcanic sights: Volcano National Park, Thurston lava tube, Kaumana Caves State Park, Pahoa transfer station, Live lava bike/hike tours in Kalipana Viewing area. Shop large stores for all your supplies. Just a quarter mile above the Hilo airport is a Walmart, Target, newer Safeway, mall with modern movie theatre and cute stores. Looking for familiar fast food? In the same area is a Burger King, Panda Express and Starbucks. Just up the street on the north side is a Subway, Jack in the Box, McDonalds and Domino’s Pizza. Date of stay - January 9, 2016. Copied from VRBO. 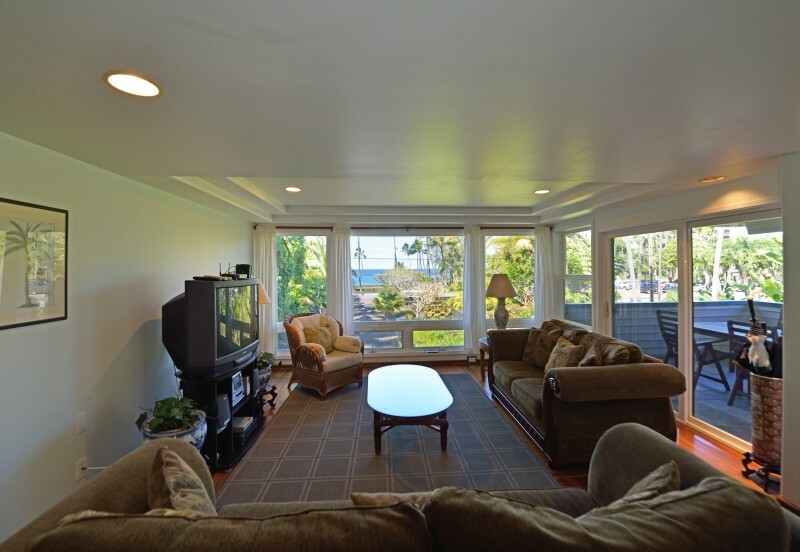 Ann K. says: The vacation rental house was a great place to stay and in a great location in Hilo. The kitchen was well equipped and big enough to fit several cooks. The boogie boards and snorkel equipment came in handy on the beautiful beaches in the area. Everything we needed was right here. Would stay again. My Response Thanks for the kind words. I strive for consistent 5 star reviews. Date of stay - October 11, 2016. Copied from VRBO. 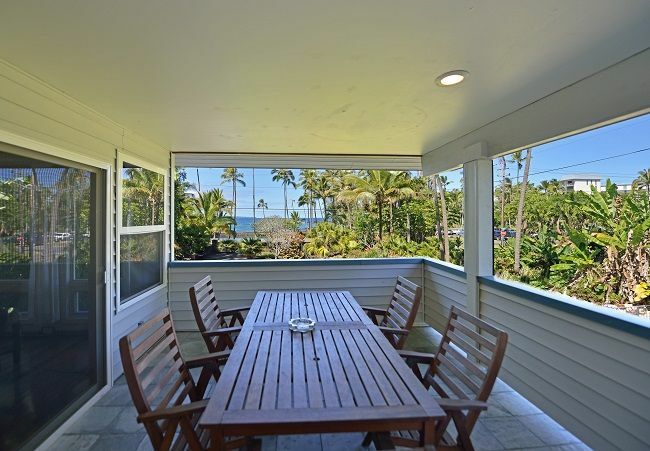 Redux says: We rented both of Richards homes for our group of 16 running the Hawaii Ragnar, we couldn't have asked for a better location! The home was perfect for out group and although we were not there much it was great to come back to a nice comfortable bed after a long day of running. The home is directly across the street from a beautiful beach, we enjoyed the turtles and other wildlife along the beach - and of course the sound of the waves as we slept. Richard was more than accommodating while booking the home and left plenty of suggestions for places to eat and things to do, we had to call him a couple of times and he was very nice and helpful. Hilo reminded us of "old" Hawaii, not commercialized and many locals surfing on the beach. 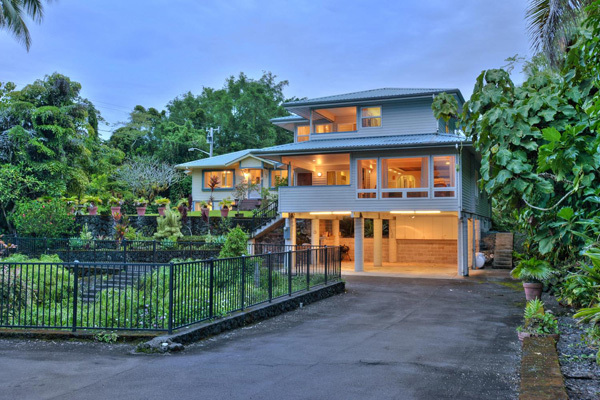 If you are looking to stay in this area of Hawaii - Big Island, we could highly recommend this home! Date of stay - June 21, 2016. Copied from VRBO. 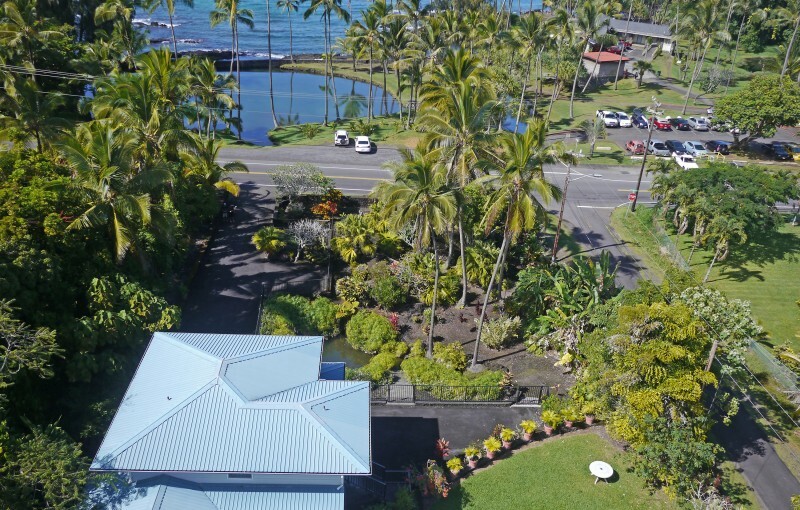 Rudy S. says: Overall the location was very good for our first stay in Hilo! Accommodations were adequate but unprepared for hot, humid conditions thus uncomfortable. Need to update fans and relocate attic fan for circulation upstairs. Small upstairs bedroom was too hot for occupancy! My Response This house is the most modern, prepared home for hot humid weather. Each room has a ceiling fan installed last year as well as other fans. This is the only house that I know that has a whole house fan. It was brought over from the mainland because they are not sold locally. The "small upstairs bedroom" is the master with a sliding glass door for excellent ventilation. If you are unlucky, Hilo can get hot in summer. It is not that common, which is why none of the homes have air conditioning. This guest assumed the house had air conditioning. They had no tolerance for un-chilled air and wanted a refund even though there was nothing wrong with the house. I gave them a compromise but they wanted more. This is an unfair review. Date of Stay May 21, 2016 Copied from VRBO: The house was great. There was a little mix up on the initial cleaning, but they were so responsive, that it was more than made up for. Kitchen was well stocked with everything needed. House was a great location for beach access, and had all of the accessories needed for our group. The Hilo side is a must visit. Don't mind the rain showers, it didn't really impact our plans at all. Volcano NP and the numerous waterfalls were outstanding. Read through the Hawaii Reaveled book and look at the Hilo area. We did a number of the bolder hopping to waterfalls and lava tube expeditions. Both were off of the beaten path, and rank high on the list of things to do. Turtles galore. When we come back to Hawaii, we'll spend a few more days on the Hilo side and would hope to stay in the same house !! Date of Stay October 28, 2015 Copied from VRBO: Our trip started off with a few bumps so I did not stay in this specific house but stayed in another house down the road (also owned by Richard). Although we did not stay in this property, we did get to walk through and it is very spacious, well stocked with everything you need and right across the street from the ocean. Also had some internet issues thus the 4 star review instead of 5. Richard is a good host. He is very responsive and willing to help troubleshoot and eager to make things right. The location of his properties cannot be beat. You fall asleep to the sounds of the ocean waves and nature and you wake up to the chirping of the birds and watch the beautiful ocean as you sip your morning coffee. we traveled with 3 toddlers and we all enjoyed swimming/ snorkeling in the small lagoon right across the street. 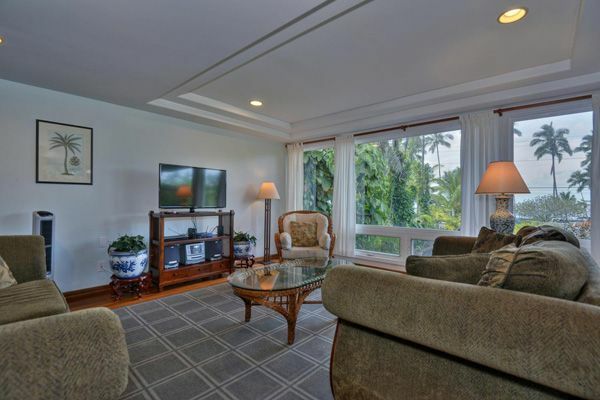 Location is close to Hilo downtown and about 45 min to the volcanos. Would definitely come back again. Thank you Richard! Date of Stay August 15, 2015 Copied from VRBO: The home was very nice. Walking distance to the beach. It was clean and comfortable. It had more than we expected. The owner was super friendly and accommodating. We snorkeled, swam, barbecued, hiked a volcano, shopped, and ate at local restaurants. Very fun and relaxing trip overall. Date of Stay August 10, 2015 Copied from VRBO There was nothing about the house we didn't love! Things we forgot or didn't even know we needed were at the house. We cooked dinner every night and had all supplies. We are a large family and the house was spacious. The weather was warm but the house had plenty of fans in each room. The upstairs bathroom is enormous! Location was great, we snorkeled across the street and we did see a sea turtle which was awesome. Kids already requested next time we stay it is at "beaches"! Thanks again Richard! Thanks Renee for a clean stay! Date of Stay July 31, 2015 Copied from VRBO: This home is beautiful and is fantastic for families. The kitchen is fabulous and is a chefs delight. Love that the beach is right across the street!